Sports Camp - Footsteps Child Care, Inc. Welcome to Footsteps Sports Camp led by Coach Adrian! Sports Camp is a fun and interactive camp for campers who want to explore different sports and non-competitive games, promoting cooperation, teamwork, and participation! 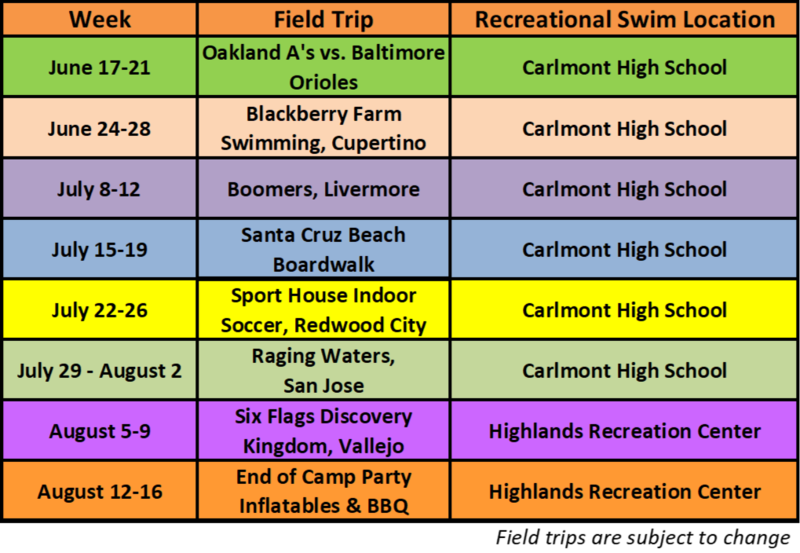 Activities include soccer, flag football, dodge ball, tennis, swimming, and a variety of outdoor games. On Friday afternoon campers swim at local pools and take a weekly sports related field trip. Adrian and his staff of coaches make sure the day is balanced with two healthy snacks and time indoors out of the sun! Your child will go home worn out by the vigorous physical activity and fun!